The Rain is an Netflix original show. The second season seems to bring higher tempo and better visual effects. The Danish- produced series returns May 17. The world as we know it has ended. Six years after a brutal virus carried by the rain wiped out almost all humans in Scandinavia, two Danish siblings emerge from the safety of their bunker to find all remnants of civilization gone. Soon they join a group of young survivors and together set out on a danger-filled quest through abandoned Scandinavia, searching for any sign of life. Set free from their collective past and societal rules the group has the freedom to be who they want to be. In their struggle for survival, they discover that even in a post-apocalyptic world there’s still love, jealousy, coming of age, and many of the problems they thought they’d left behind with the disappearance of the world they once knew. Netflix remains the most popular and first choice for most film- and tv- freaks as Engaged reports that it now got 148 million subcribers worldwide and that really soon it will cross the 150 million goal. The same source states that the streaming giant will test a new function in Great Britain – Weekly top 10 – which will list the top 10 titles for the region. It will also present how many times the content has been viewed. It’s an attempt to to keep viewers updated about the latest trends. The plan is to test this a couple of months over there and review if it will be implemented globally/in other regions or scrapped. According to Deadline, The Witcher will premiere sometime in the fourth quarter of 2019, earlier than previous planed (2020), on Netflix. The Witcher was made popular and known to a wider audience by CD Projekt Red – the developer of the game-series with the last title – The Witcher 3: Wild Hunt – released on PC, PS4 and Xbox One in 2015. I don’t know ONE single source to have anything bad to state about it. However the game is based on the book series by Andrzej Sapkowski and beside the games, there’s a tabletop game and comics based on the 8 book long fantasy series. The plot centers around Geralt of Rivia, a Witcher. Witchers are monster hunters who (with training and body modification) develop supernatural abilities at a young age to battle deadly beasts. 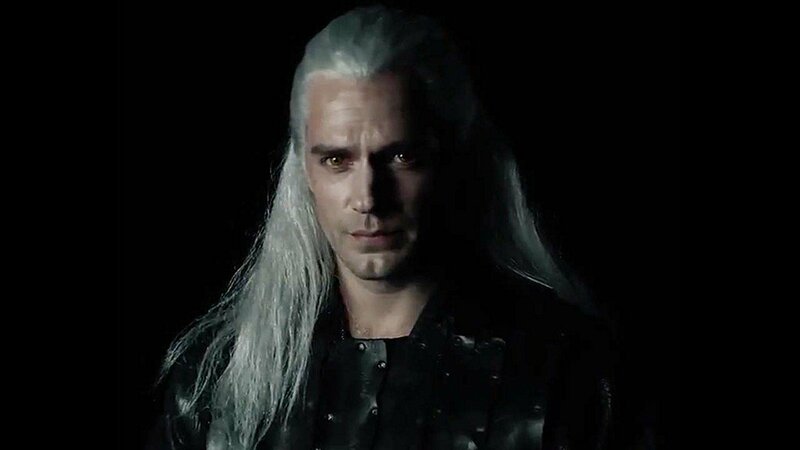 Here’s a first look at Henry Cavill as Geralt, released last year. Expect “real” footage to emerge soon. Well, it’s all about Lucifer half-naked. But the release date for the new season is revealed in the end of the teaser. When the world is under attack from terrifying creatures who hunt their human prey by sound, 16-year old Ally Andrews (Kiernan Shipka), who lost her hearing at 13, and her family seek refuge in a remote haven. But they discover a sinister cult who are eager to exploit Ally’s heightened senses. Based on the acclaimed novel, THE SILENCE is directed by John R. Leonetti (ANNABELLE) and stars Stanley Tucci, Kiernan Shipka, Miranda Otto, John Corbett, Kate Trotter and Kyle Breitkopf. Watch on April 10th, only on Netflix.